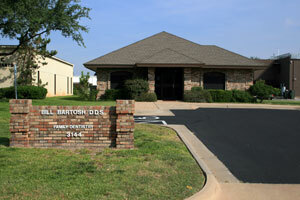 The team at Bartosh Dental are dedicated to your total comfort and care. If you have any questions or needs, please don't hesitate to ask! Debbie will greet you with a smile you can hear in her voice. She is there to answer your many questions and schedule your appointment. She is well qualified to help you understand your insurance benefits and make financial arrangements when necessary. 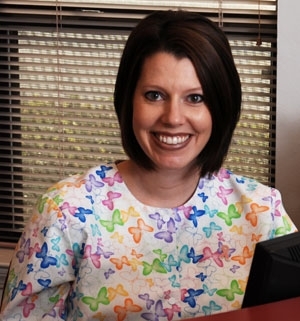 Our patients say that Amye has a kind and gentle approach to caring for them. She enjoys working with patients of all ages and is concerned about patient education and the prevention of oral disease. 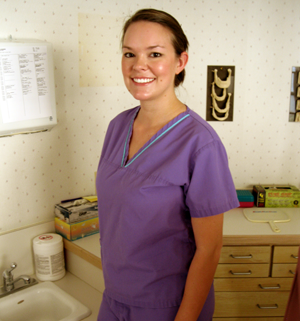 Andrea new to our office and has been a registered dental hygienist for three years. She graduated from Midwestern State University with a Bachelor of Science degree in Dental Hygiene. She states "I love what I do in caring for our patients. Interacting with people and teaching them about good oral health is always fun. I even clean my dog, Arden's teeth." Andrea is a pleasure to have in our office as her caring and gentle approach to patient care is appreciated by all. Nasha is Dr. Bartosh's dental assistant and is highly qualified to help him in the delivery of patient care. Her concern is obvious as she asks patients if they need a head pillow or if they are feeling some discomfort as Dr. Bartosh is working on a tooth. 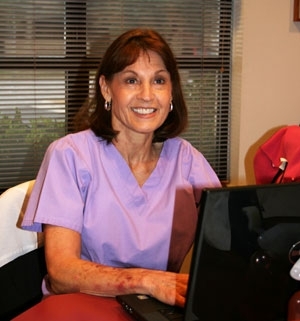 She is gentle and compassionate in her assisting and often receives compliments from our patients. She is very active being a mom raising her seven year old daughter, Zoe. Always there with a smile on her face, Anna works to keep all patient records properly updated and correctly filed.